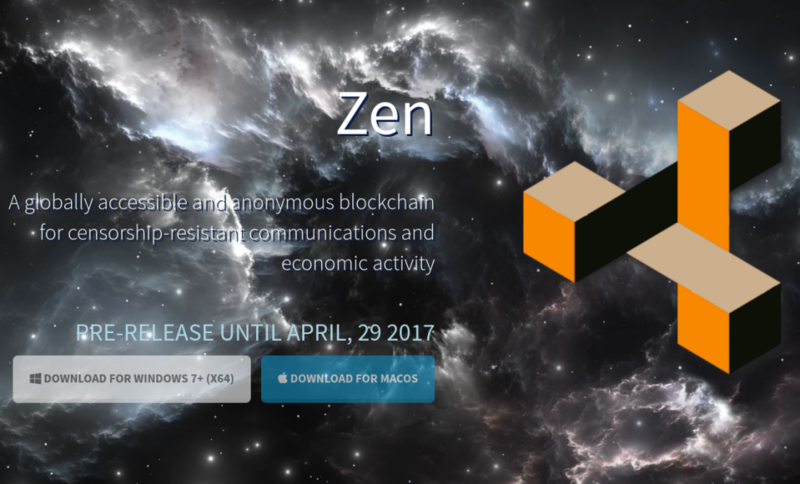 Zen is launching as a new crypto-currency at the end of April. Zen is an ambitious currency that has a clear vision as a secure and reliable cryptocurrency with the additional features of a distributed and secure basic communication system. 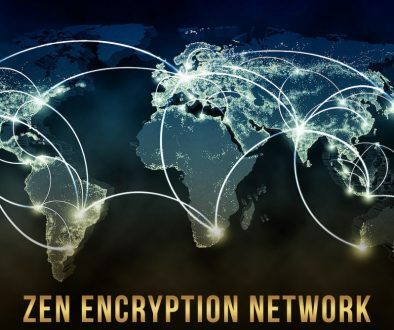 All communications between Zen nodes will be encrypted, nodes will be tested for hardness and resiliency, and in addition to being able to send private financial transactions, Zen users will be able to send short messages to each other about the transaction (or anything else), and link to larger documents. It is launching as a fork of Zclassic, at Zclassic block 100,000, which in itself is a fork of Zcash. So it has a good history of software development, security, and codebase, as Zcash is a fork of Bitcoin with the addition of shielded private transactions. Furthermore, Zen is structured for long-term operations through a redirection of a portion of the miner reward to both the node operators as well as a Distributed Autonomous Organization for payment of operations costs and continued software development. There’s three basic ways participants in the Zen community can make money. The first and easiest is to buy Zclassic on the open market at an exchange like Bittrex, hold it, and expect that as the developers and other people involved with Zen work to make it a stronger and more useful currency that it will go up in value over time. One of the unique aspects about the launch is that as a planned fork in a harmonious agreement with Zclassic any current holders of Zclassic will be awarded the equivalent amount of Zen at launch. If you hold Zclassic in your own wallet on your own computer, as I do, then you can export your keys from your Zclassic wallet and import them into your Zen wallet and all your Zen that was made available to you at launch will immediately show up. The same thing should happen if for any Zen stored on a exchange, but it is always better to have positive control of your own crypto-currency, so I recommend transferring it off the exchange to your desktop wallet. A second way to earn Zen, which is slightly more difficult, is to run a Zen node. This involves operating a virtual private server (VPS) and running the Zen node software. Because Zen is going to be optimized for encryption and security and resiliency I would recommend staying away from putting your VPS on a Raspberry Pi or similar device and instead go rent an actual VPS at a hosting provider. You should be able to find one that meets your specifications for $10/month. To get better rewards you are going to want to set your VPS up to get a public certificate so it can have verified secure Communications with other Zen nodes. This can be done for free using Let’s Encrypt. I expect that nodes are going to be tested for resiliency against high utilization in order to be able to receive their node reward. Perhaps not immediately, but in the future. There will be a requirement to own some Zen to be able to receive Zen payments as a participating node operator, so it would be a good idea to purchase some Zclassic now in preparation for staking the miner. It may be around 20-50 Zen per node. You can prepare for setting up a Zen node now by setting up a Zclassic node. Instructions are at the Zclassic Github. A third way to make money with Zen is to mine for it with a GPU Miner. Zen will use the same algorithm as both Zclassic and Zcash, the Equihash algorithm. If you set yourself up to mine Zclassic or Zcash right now, test your systems, and get them working at a Zclassic or Zcash mining pool then when Zen launches you will be able to immediately point your GPU Miner at a Zen mining pool and start mining to your own Zen address. I wrote a complete how to on setting up a Zcash or Zlcassic miner here. The developers for Zen are already preparing packages to provide to mining pool operators so they will be ready for the influx of Zen miners immediately upon launch. Right now if you have questions, you can receive technical support for Zen in the Zclassic RocketChat. Zen will have it’s own support structure as the launch gets closer. This is an exciting time! Zen will be secure and resilient and also incorporate two of the key features that have made Dash a successful currency so far, the payments to node operators and the funding for business, marketing, operations, and development. Zen has a different focus than Dash, however, and is going to be enable fully secure crypto-currency transactions worldwide. Use the time between now and the launch of Zen to get your systems ready to support the currency and make money as a Zen node operator and miner. Then spread the word and start using Zen! Can you recommmend a specific VPS provider ? Thank you. I use Linode and Vultr right now for some of my zclassic and dash nodes. I’ve heard Digital Ocean is good also. 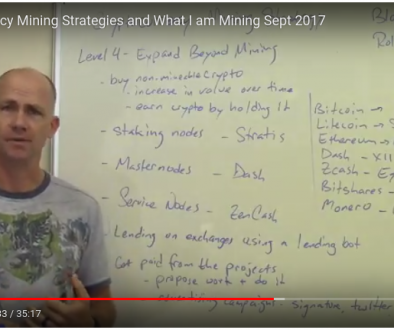 Thanks for your reply, so you confirm they allow mining ? Have you heard of Time4VPS ? Alright, make sense to run just a node on a VPS, less CPU intensive. Thank for your fast reply. It seems 4GB is needed to run a node. Is that right ? In that case how do you get a 10$/month figure with either Linode, Digital Ocean or Vultr ? Are you using swapping ? It that still efficient enought to run a node ? yes, I am using swap on the SSD for the few z_transactions I make. It works fine. How much zen rewards do you make with your set up in Linode? well, none yet. The secure nodes are not enabled yet for Zen. But 3.5% of mining rewards will be allocated among all secure nodes when they are going. What I like with them is that they are using latest XEON CPUs , coming with fast bandwidth and 500GBPS DDOS protection.